Effective sales messaging is a key focus and a pet topic of mine and a key challenge in all sales and marketing messaging is differentiation. That’s why I was so excited when I discovered that serial author and sales expert Lee Salz was aiming his guns at the subject of sales differentiation. 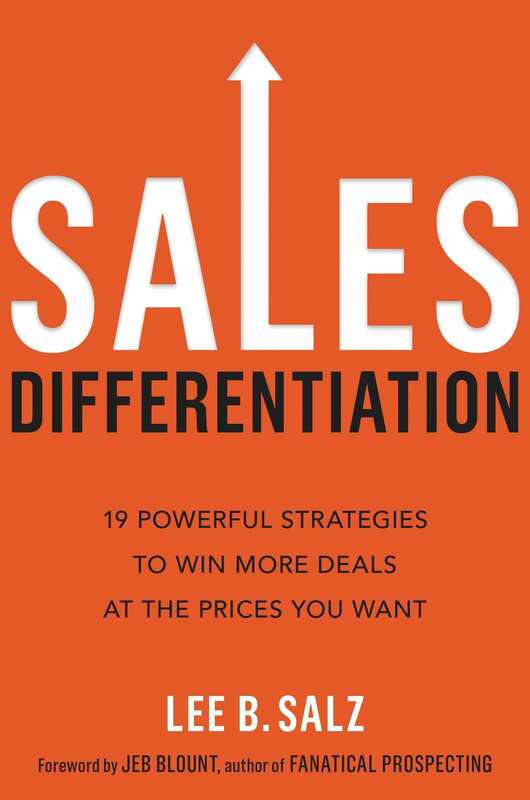 The result is Sales Differentiation: 19 Powerful Strategies to Win More Deals at the Prices You Want and it rocks. 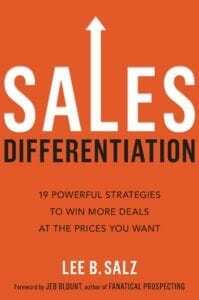 Unlike most sales books, Sales Differentiation has broad appeal and application to both sales and marketing. 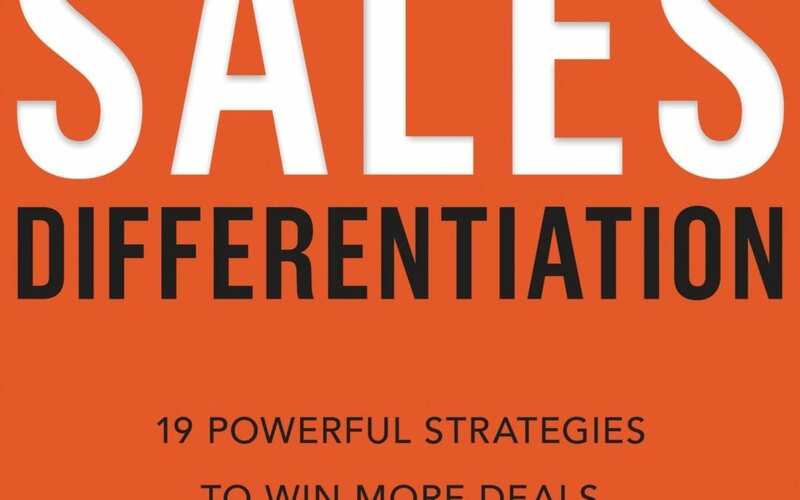 While Lee specifically differentiates between marketing and sales differentiation, the concepts within the pages of Sales Differentiation will be valuable to all business owners, marketers and sales professionals. 80-90% of the clients I work with confess that they have challenges differentiating their solutions. Buyers are very challenged when it comes to differentiating solutions. Today’s messaging overload and diminished attention spans leave only the narrowest window to communicate how our solutions are different and relevant to them. And if a buyer cannot differentiate you from your competition they will differentiate based on price – plain and simple. One of the key insights in Sales Differentiation is that price objections are really differentiation problems. When customers cannot see the difference between solutions they are understandably confused about why a higher price is justified. It is incumbent upon us as sales professionals to communicate that value and a failure to do so has very negative ramifications. Fortunately, the corollary insight is that customers are willing to pay a premium for what they perceive to be meaningful value. The question then, becomes: “How can I differentiate my solution in a way that communicates meaningful value to customers?” And that is the exact question that Sales Differentiation answers. Still skeptical? You will be convinced after reading chapter 4 “What Would You Pay For Something You Could Get For Free”. In this chapter Lee gives the most outstanding example of differentiation – bottled water. Access to free water is ubiquitous and yet more than $12.8 billion is spent on bottled water annually. It is, in fact, the largest beverage category by volume. It is in the differentiating of this free product that gives it its value. And this highlights an important insight – HOW you sell is as important as WHAT you sell. Within these two sections Lee Salz delivers 19 key strategies for how to differentiate both. Another key insight is not to leave differentiation up to buyer interpretation. It is our responsibility as sales professionals to articulate exactly why our differentiation matters. We need to connect the dots and specifically explain why a given differentiator is meaningful to them. This touches on another area of Sales Differentiation that I really enjoyed, and that is the words we use to communicate our value. How you say things matters. Here Lee gives some excellent guidance on what to say and what not to say. Words to use and words to not use. For example, buyers discount the use of the word “best” when given by anyone other than someone the buyer knows and trust. (this is why referrals are so effective) Even better, Lee provides an excellent framework and dialog around how to position yourself as the best with actually using the word. This is a simple but very cool approach that I am 100% in alignment with. Data shows that customers tend to choose the first salesperson who adds value and insight. This is differentiating using insight and is a strategy that every sales professional should be leveraging. This concept leads to another important insight and that is: Differentiation is not just about winning deals, but also winning them at the prices you want. Selling Differentiation spends a significant amount of time providing a framework and methodology for identifying and enhancing your own differentiators. There are rules around this that you must follow. Just because there is a difference between you and your competitor’s solution doesn’t mean that difference is meaningful to buyers. Instead of simply searching for unique differences, instead look for an aggregate differentiated story that is different relative to other options the buyer has. This is a practical approach to adding differentiators to your list and following the exercise here will produce several (perhaps many) new areas of differentiation you likely never thought of. Going beyond solution differentiation, part two of the book provides many strategies on how you can differentiate yourself by how you go about selling. This section will be valuable to every sales professional in every industry. There are a tremendous number of areas we can use to differentiate ourselves including: the words we use, the questions we ask, proactively addressing concerns before they arise, how we handle references, how we personally add value, being a knowledge resource, leveraging our networks, our responsiveness, anticipation of customer needs, our authenticity, business guidance and more. This is a phenomenal section complete with examples and exercises. Two of my favorites were around how to develop positioning questions and the matrix process Lee offers to anticipate common objections and preempt them. Sales Differentiation closes by culminating everything into a six step process for engaging new prospects in a way the differentiates you right from the earliest part of the sales process. Sales Differentiation is a practical, brass-tacks guide to developing and enhancing your sales differentiation messaging from a veteran expert that is uniquely qualified to address the topic. I guarantee every reader will discover new and ingenious ways to differentiate their solutions that they may have never considered. I loved this book and I feel it should be required reading for every business owner, marketer and sales professional. You can find Sales Differentiation on AMAZON. 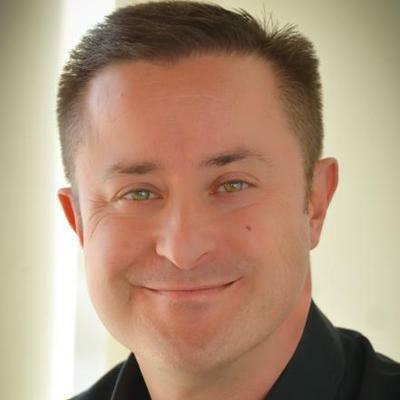 Get notified when Tactical Sales Prospecting comes out by signing up for my newsletter at PureMuir.com . Get the #1 book on closing sales now at Amazon. Get immediate access to all of my downloadable resources and more by opting in now. You have successfully subscribed! Check your inbox to confirm your email address.